Washington’s own Nvrsoft levels up with her debut EP on Shimon’s Audioporn Records. Having earned her stripes on the DJ front for the past eight years, the aptly titled Premonitions EP she’s just dropped is a proper glimpse into the future of the young producer. 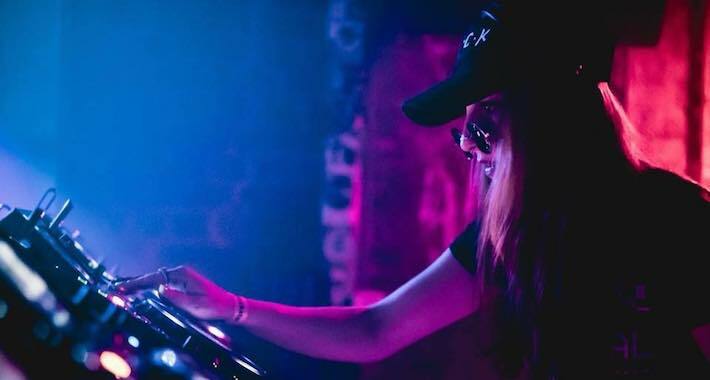 While she’s had releases on imprints ranging from Saturate!, Stripped and The Gradient Perspective, they all seem to have been preparing her for the four-tracker she’s flexing on for the global drum and bass massive. While the scene itself seems hell-bent on raising the bar on dancefloor rinseouts, Nvrsoft takes a much-welcomed and impressive turn into deeper territory. Harkening back to the golden years of drum and bass, Nvrsoft takes the listener on a proper journey through intricately crafted soundscapes and heart-wrenching compositions that ride the fine line between the dark and the light. While all the bits hit where it hurts, the bit we’re premiering today features the kind of slow burn that Nvrsoft is capable of inducing so well. While hypnotic atmospherics and dream-like elements ease us into the heart of “Changes” proper, the darkness lingering at the edges gives the cut just enough of a bite to keep the heads moving whether they’re out under the stars at a desert renegade or winding it down in the club. The entire EP is a stunning introduction to one of the Stateside’s own and one that promises even bigger things to come. This one’s out now via Audioporn so lock in your copy here.